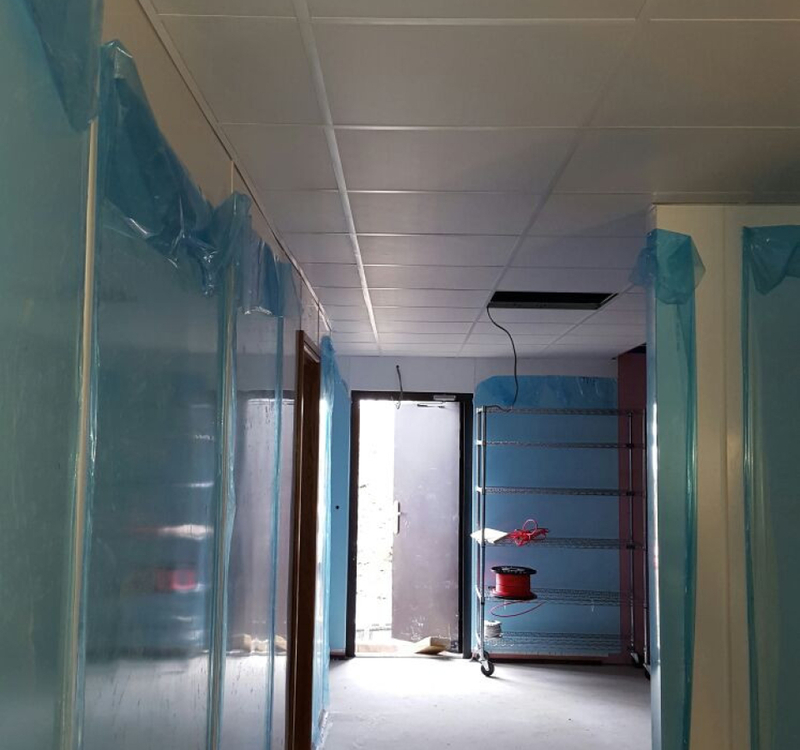 Our fitters have just finished a huge job in Bangor, North Wales. 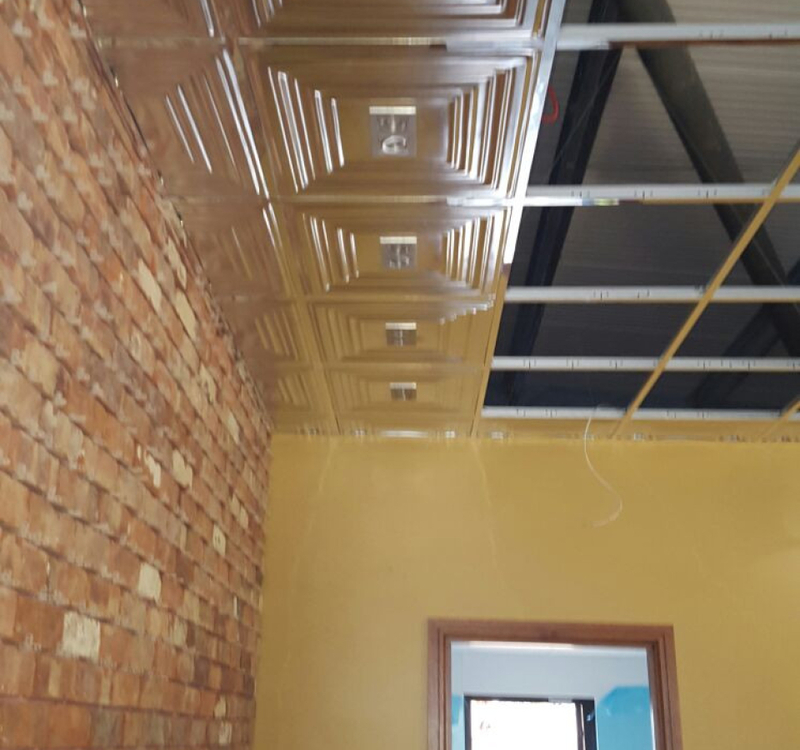 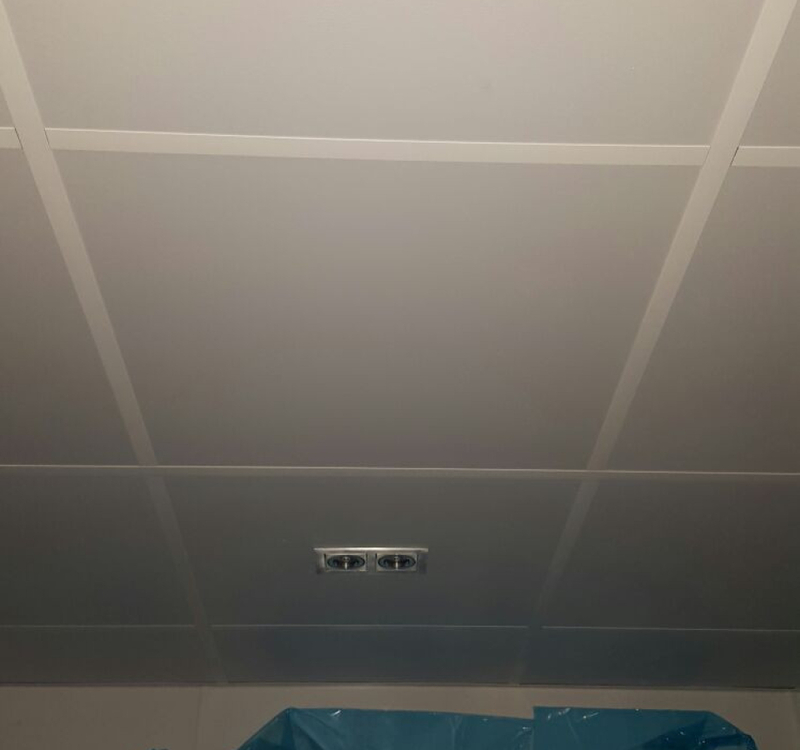 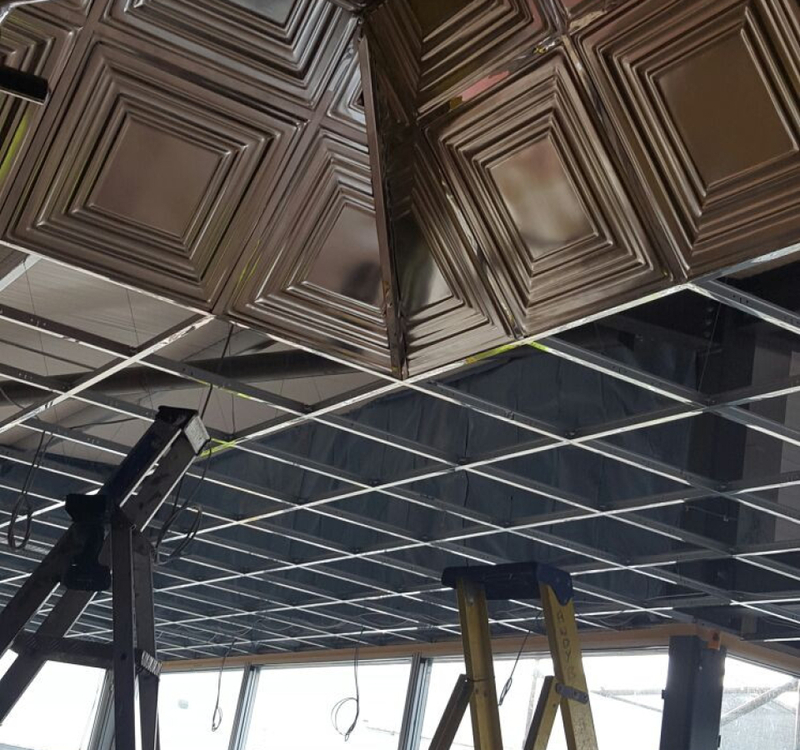 This was a large area in which the customer wanted a silver grid combination of clean white vinyl faced tiles and more decorative silver ridged tiles. 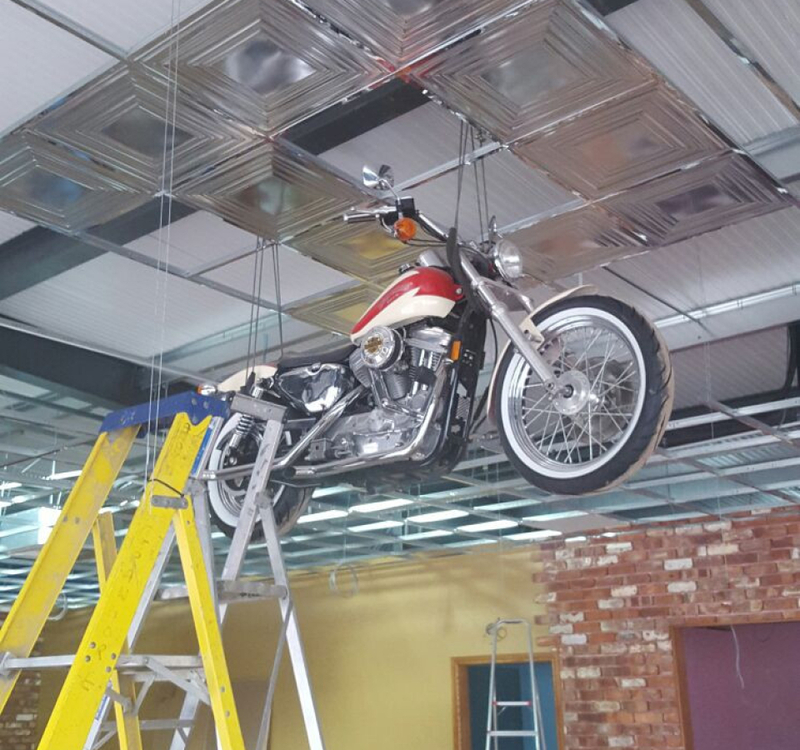 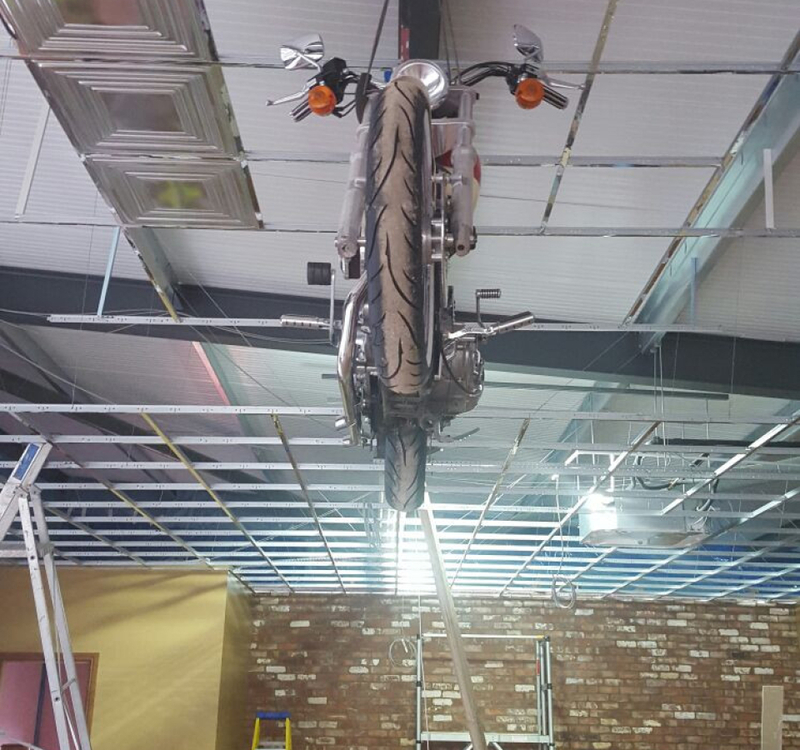 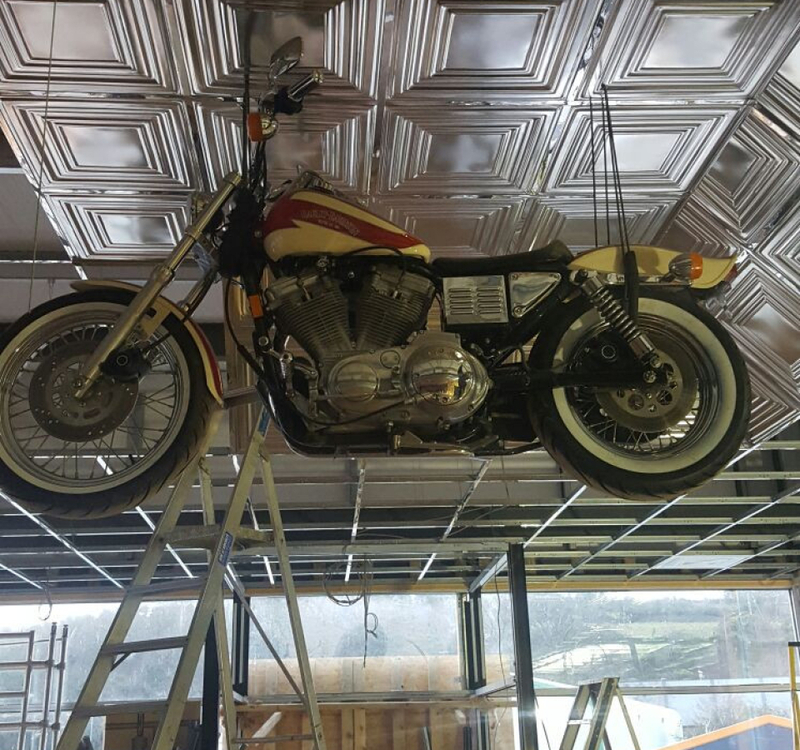 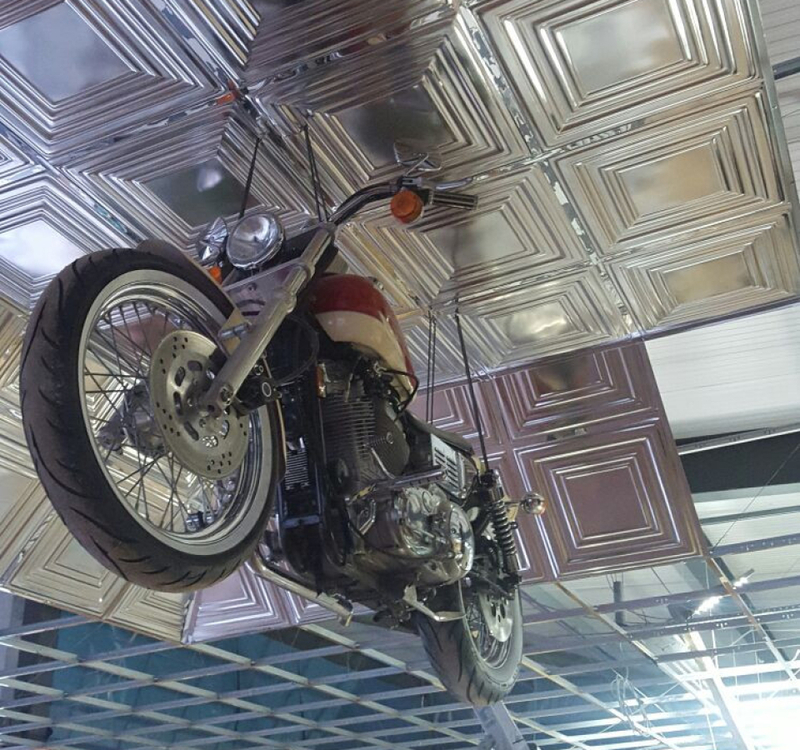 The centrepiece of the restaurant was a brand new Harley Davidson suspended from the suspended ceiling grid. 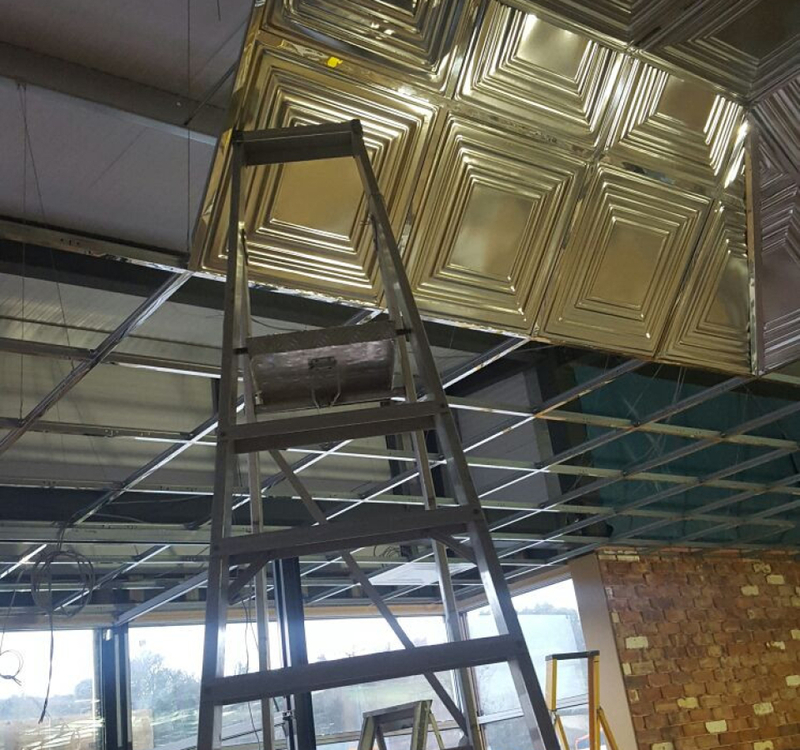 Our fitters had to tile around this in the silver ridged tiles to create a feature. 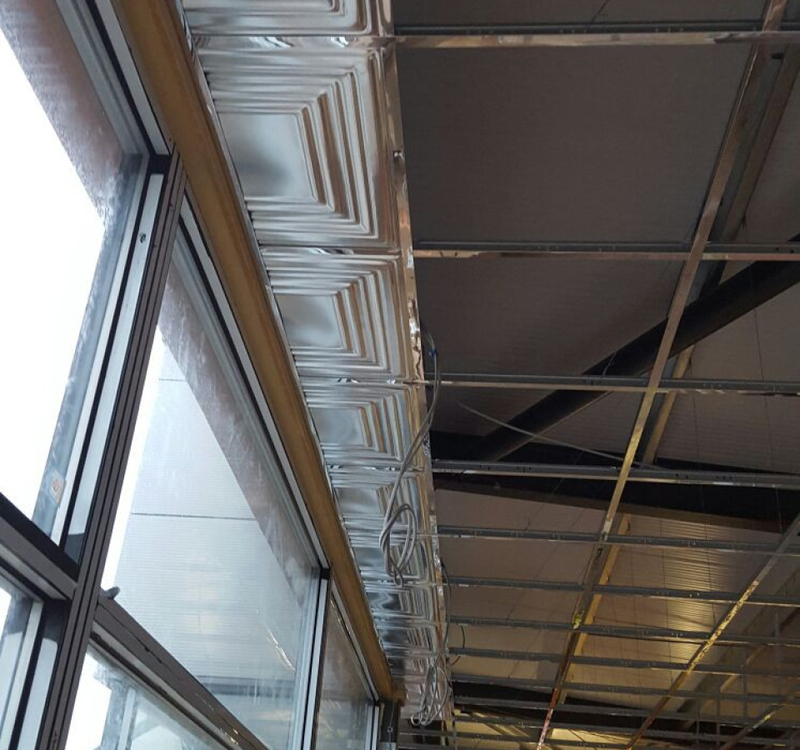 The customer was very happy with the results and wants us to return for other jobs.